Energy-Efficient: The maximum power consumption of wall light only 0.8W, which help you save energy and money. Safe and Reliable: This LED bulb adopts fire-proof material with CCC/CE/ROHS/SAA. 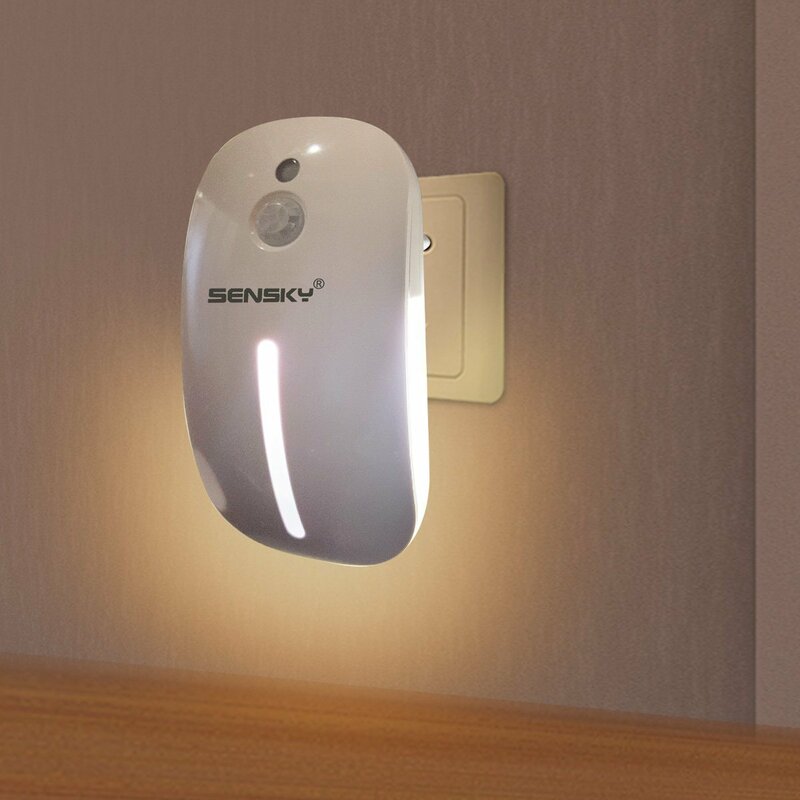 Works great indoor, especially as a nightlight for kids, stairs, steps, hallways, bathroom & kitchen. 1. Do not immerse the flashlight in to water or using it in wet condition, it is not a waterproof night light. 2. Do not disassemble it by yourself. 3.Do not cover it for staying out of the possibility of danger. 4. Beware of the electricity & electronics parts, it i s not a toy. 5. unavailable when power failure. 6. Sensor range and detection area is varying under the different environment and season. 7. Suggested operating temperature is 5 to 30 degrees centigrade. 8. For optimun efficiency, please don't shelter from inductor.